Please see below contacts for the Swedish and the Indian Embassies in New Zealand and Australia. We recently told you about the plight of the Johanssons, a Swedish family whose only child, 7-year-old Dominic Johansson, was seized by Swedish police from a plane just as the family was about to leave the country for a new life in India. After investigating the facts surrounding the case, HSLDA President J. Michael Smith wrote to Swedish officials to protest this action. Citing confidentiality concerns for not commenting on the Johansson case, Mr. Stigland noted that a county administrative board in Sweden is reviewing how it was handled by local officials. In a telephone conversation with HSLDA, Mr. Johansson confirmed that he has been in contact with the county administrative board. “They told me that they are looking into the case to determine if anything was done improperly,” he said. And at a meeting with the social workers on Tuesday, October 6, Mr. Johansson was told that he and his wife would only be allowed to visit their son at the social workers office once every two weeks for a maximum of two hours. What does Sweden hope to gain from such an aggressive action? The situation is tragic. It is deeply troubling that a Western democracy would go to such lengths to prevent a homeschool family from simply trying to leave the country. Dominic has been traumatized, and his mother has been hospitalized several times because of the depression this incident has caused. Yet the social workers persist in keeping custody of Dominic. When Mr. Johansson asks why, they reply “Because it’s better for him.” According to Mr. Johansson, both he and Dominic have been subjected to psychological and other testing with results showing no valid reason for continued separation of the family. In light of this aggressive behavior and because the Swedish parliament is poised to impose draconian regulations on homeschoolers, HSLDA is asking its members to contact the Swedish Ambassador to the United States. First, we ask you to request that the Swedish government return Dominic to his family. The social welfare agency has taken custody of Dominic, and they have the power to return him to his parents. Request that they do so immediately. Second, inform the ambassador that homeschooling allows children to thrive academically and socially. Valid research has demonstrated that homeschooling is a mainstream educational approach that works. Tell him that the world doesn’t need any more countries like Germany that repress freedom in education, and that a person should be permitted to opt out of public education because of philosophical or religious convictions. The act is indeed being reviewed and the proposal is even more draconian. The proposed language would remove philosophical or religious convictions as valid reasons to home school. The new law would allow homeschooling only in “extraordinary circumstances” (read: never). If the proposed Swedish law passes it would become as bad as in Germany where homeschooling is effectively banned. HSLDA thanks its members and friends for their ongoing support. It’s when all homeschoolers join together that we are most effective advocating for homeschool freedom in America and abroad. There is a Swedish Consulate General in Wellington and Consulates in Auckland and Christchurch. This family was on their way to India. 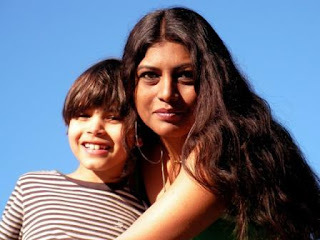 In a comment on this post http://hef.org.nz/2009/home-schooled-boy-snatched-from-plane-in-sweden/ Cathi said “With the mother being a citizen of India, wouldn’t Dominic have dual citizenship? Maybe we need to also be contacting the Indian Ambassadors in our respective countries to get them to ask why a citizen of India is being held in their country. While we’re on the Calls Needed to Reunite Homeschool Family Home Education Foundation, topic, Those first few years of home schooling will make a significant difference in the maturity and independence of your child.